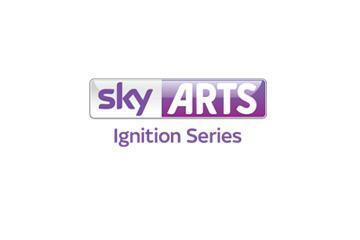 Business to Arts is delighted to be working with Sky Arts on a exclusively Ireland-only application round for the next Sky Arts Ignition series. The winning applicant will receive GB£200,000 from Sky Arts to fund a new project, to be co-developed between the two organisations and any contributing artists. Sky Arts will also work with the winning organisation to bring the chosen project to a wider audience on air, on demand, online and on the ground, as well as providing marketing and new media support. Applications will be accepted from today via the Sky Arts Ignition series website, www.sky.com/skyartsignition, where full guidelines for entries can also be found. The deadline for applications is 2 April 2013. This will be the third project in the Sky Arts Ignition series. Last year, Sky Arts partnered with Tate Liverpool on Sky Arts Ignition: The Source, while this summer the V&A and Sky Arts will be opening Sky Arts Ignition: Memory Palace. These major projects form part of Sky’s on-going commitment to broadening access to the arts. Business to Arts recently hosted a group of senior business and arts representatives in the offices of our friends at Mason Hayes & Curran to discuss the structures available for corporate supporters of the arts in Ireland. The discussion was kicked off by Minister Deenihan, who underlined his commitment to facilitating and enabling non-public funding of the arts in Ireland as a complement, not a replacement, for government support. We asked our speakers, from Bank of America Merrill Lynch, Diageo and KPMG, to talk about their own experience of investing in culture in Ireland, their organisation’s approach and experiences as well as describing what success looks like to them. Andrea Sullivan, Head of Corporate Responsibility at Bank of America Merrill Lynch, discussed their global foundation, a resource-rich corporate structure that invests heavily in the Irish market to support their presence here. This example, through which Bank of America Merrill Lynch have become one of the largest corporate supporters of the arts in Ireland, provides a model for many leaders of inward investor organisations who might have access to international corporate foundations. The story behind the development of the Arthur Guinness Fund was at the heart of the story for Peter O’Brien, Corporate Relations Director, Diageo Western Europe. 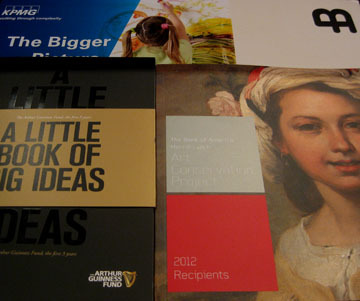 This fund, established in 2009 to mark the 250th anniversary of Guinness was rooted in the very essence of their brand. Arthur Guinness was himself a social entrepreneur and the fund was established to reflect this alongside the brand attributes of Guinness today. In the time since the fund was established the Arthur Guinness Fund has completed 3 rounds of funding in Ireland, with a number of cultural projects (including Business to Arts’ own fundit.ie initiative! ), and the social and economic impact of all investments have been recorded and publicised widely. Finally Terence O’Rourke, Managing Partner of KPMG and winner of an Allianz Business to Arts Award in 2012 for his firm’s partnership with Dublin Contemporary, focused his comments on the topic of engaging staff. He observed that “in a globalised world, where technology is very fast moving, where there’s lots of changes, where innovation is really copied very quickly, the ability for you to be sustaining a competitive advantage is more and more based on people. Having the best people, attracting the best people, having them really committed to your organisation which retains the best people, is a huge source of competitive advantage.” This approach is at the heart of KPMG’s strategy in selecting opportunities from the many requests that they receive each month. Wrapping up the session Claire Lord, Partner with Mason Hayes & Curran, talked about some of the legal structures that organisations can avail of in structuring their support of the arts or, indeed, of any cause. From a Business to Arts perspective, the development of entities such as the Arthur Guinness Fund and the Bank of America Charitable Foundation are beneficial in enabling both effective giving, and effective ‘asks’ for support. Business to Arts has joined forces with Boardmatch Ireland, Carmichael Centre for Voluntary Groups, CORI, DFI, Dochas, ICTR, RCB, The Wheel and Volunteer Ireland to organise a special information seminar on the consultation document and process. The seminar will be held on the 19th February 2013 from 11am to 1pm at Chartered Accountants Ireland (CAI) 49 Pearse Street, Dublin 2. CAI are proud supporters of this event. You will find a link to the programme and registration details here. The event is designed to provide you with an opportunity to re-familiarise yourself with the Charities Act 2009. It will also provide you with an opportunity to learn more about the Government’s proposals in relation to how the act will be implemented, and about how you can make a submission to the consultation and make your voice heard. For more details on the consultation visit the Department of Justice & Equality website. As a registered charity, Business to Arts will be making a submission to the consultation but we encourage affiliated arts organisations to make their own submission as well and will be happy to assist you in any way we can. Business to Arts strongly encourages you, as one of its members, to come to this event. Early registration is advised as the event is likely to book up quickly.